At DJP Design, we communicate visually in order to inspire, inform, and zero-in on your target audience. We work closely with our clients to understand their overall concept as well as their branding and marketing goals. 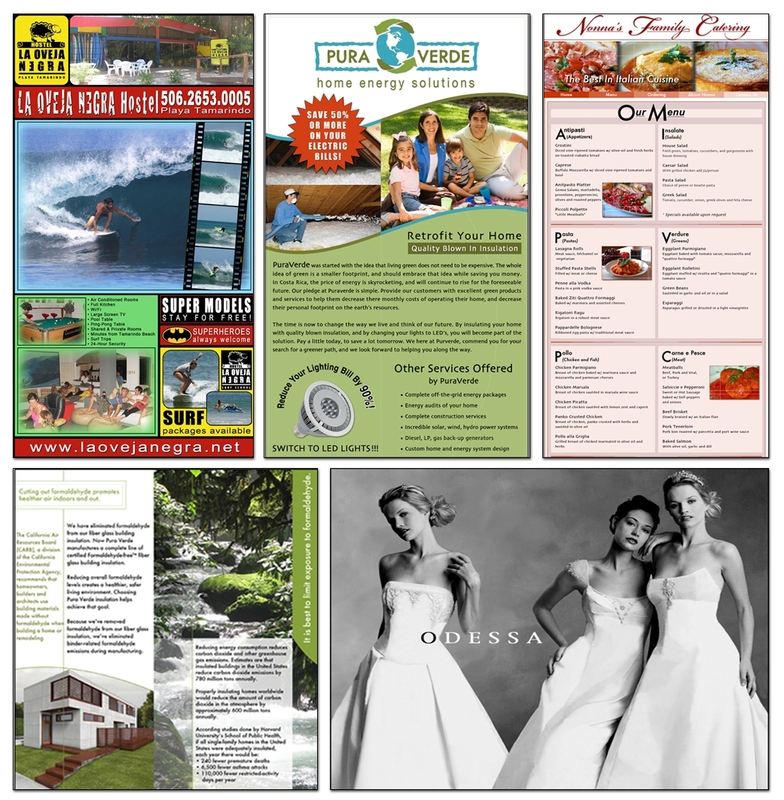 We hand design, playing with fonts, shapes, colors, images, print design, photography to help ensure our client’s vision. We have a dynamic, creative team that is committed and we pride ourselves in our quick service. We are also available for evenings and weekends. Besides marketing materials such as advertisements, marketing brochures, newsletters, posters, billboards, flyers, we also do illustrations where we take your favorite photos/design and mix-and-match images to create a unique design catered to your specifications. We also do photography Touch-Ups. So if you need wrinkles wipe away, your tummy tuck, or full body make-over, DJP Design can help you with your needs. It doesn’t hurt to look your absolute best in your marketing efforts. Feel free to look through our portfolio.